My sister was only three years old when she was struck and killed by a bus in front of our house. I never got to meet her as a result. From that day, safety became a central focus for me and my family. Ever since my family and I moved to Markham 8 years ago, I and other members of parent council have raised concerns about the poor traffic control measures in our neighbourhoods with City Council. Unfortunately, our concerns fell on deaf ears. Exactly three years ago, 4-year old girl was walking home from David Suzuki Public School with her 7-year old sister when they were struck by a car. They were rushed to the hospital, but it was too late to save the little girl. This unfortunate incident happened just steps away from my house. It really hit home for me that day. For the second time in my life, a life of an innocent child was taken away due to poor Road Safety. I knew that we needed to do better. We need to elect from Ward 7 to City Council someone who cares about our community, someone who is willing to listen, but most importantly, someone who can get things done! That's why I am stepping forward. For more than 15 years, I have dedicated myself to working with numerous non-profit and charity organizations in our community. In 2009, I co-founded Anpuneri Humanitarian Relief Organization, a registered non-profit organization in Canada with the aim of helping people affected by the ravages of war and natural disasters. I am the immediate past President of Box Grove Community Rate Payers Association and a member of Parent Council for David Suzuki Public School. Furthermore, I have contributed to Markham-Stouffville Hospital through various charity organizations. I also hold a degree in Civil Engineering. 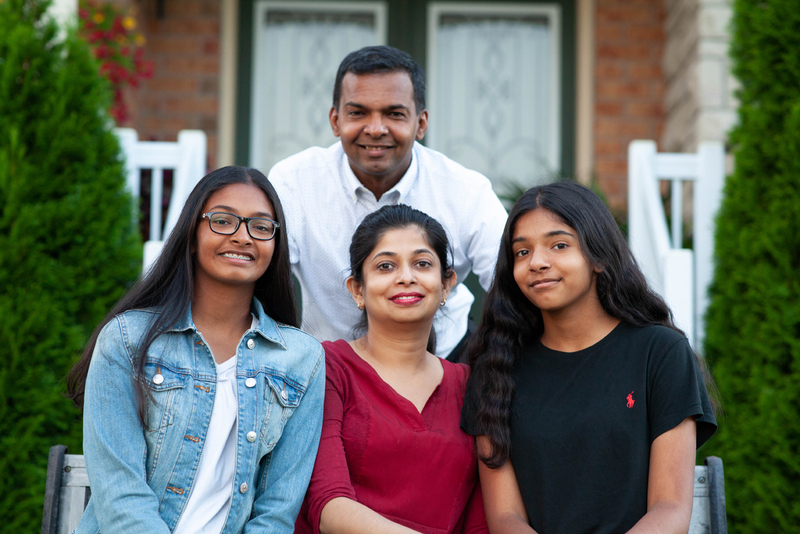 I’m running to be the change that I wanted to see, for Ward 7 and for our great city of Markham. With your support, we will move Markham forward. From ensuring proper road safety controls to effective neighbourhood watch programs, Killi empathizes with our need for a safe and secure community for all to live, work, and play. Killi knows that only pro-active transportation planning can solve the problem of unnecessary delays and air pollution caused by traffic congestion. Killi believes that community hubs can be leveraged to provide accessible and affordable services to our seniors while ensuring our youth have the necessary resources to succeed. Great planning and logistics are necessary for speedier snow removal, but Killi also believes that we should have access to the location of snow plows and salt trucks, all with a click of a button. Knowing fully well that local businesses are the life blood of our city's economy, Killi will advocate to keep taxes low and help foster an environment of innovation. Copyright 2018 - Killi Chelliah. All Rights Reserved.